The whole family is welcome during our family and open swim hours! Open swim time allows the opportunity for young swimmers to practice their skills, or just play and have fun. Parents are required to be in the water with children under the age of 5. Children ages 10 and under must have a parent on the pool deck. Children ages 11 – 14 must have a parent on the premises. Children who cannot pass the swim test are required to remain in the shallow end at all times. Lap swim will also be available during this time as space allows. We offer specific lap swim times in the morning and afternoon. Our pool is a multi-use pool, but we will do our best to have at least one lane available for lap swimming when we are open. If participant numbers allow, we will make more than one lane available for laps. The number of lap lane available during the day are listed on the Pool Schedule in bolded numbers. Our pool schedule will indicate the number of lap lanes available in ( ). 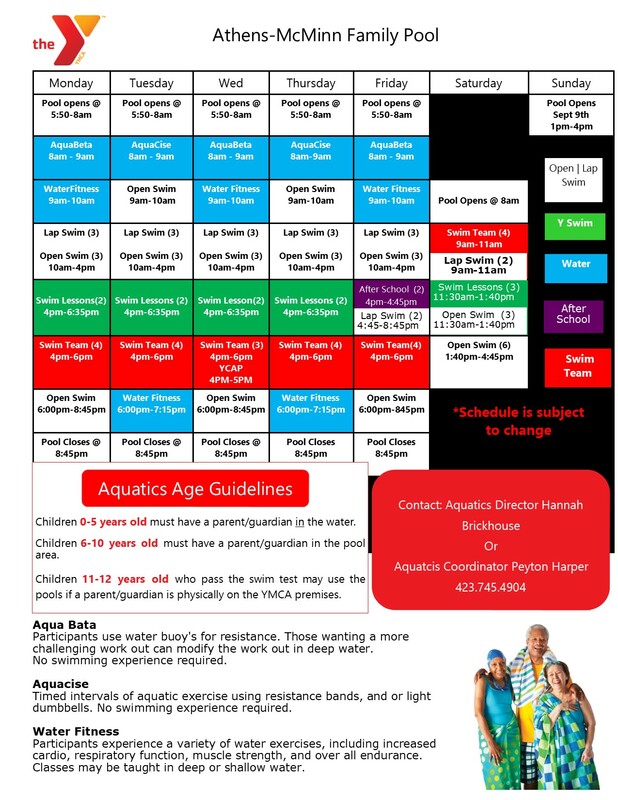 See our pool schedule below. During scheduled programs there is limited open swim. Members may share the open space with program participants at this time.